We know you’ve been waiting all year for it, and it’s nearly here – Halloween is just around the corner… Are you ready? Well, we’re ready, so don’t worry if you’re a little low on spook-tacular inspiration, we’ve got cauldrons full! So, read on for some Frank-tastic tips on how to get ready for Halloween! To get into the spooky spirit, you’re going to need the right music. 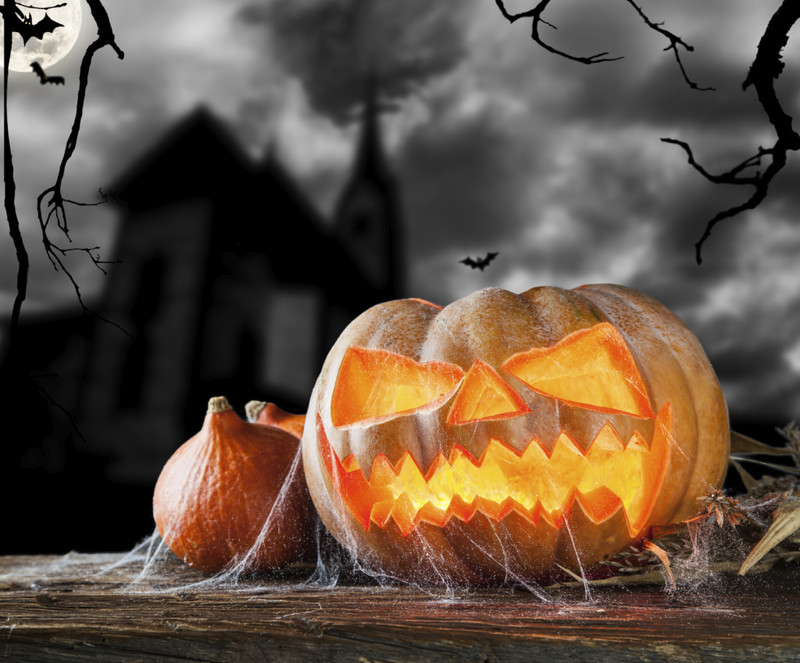 Just as you would listen to Slade’s ‘Merry Xmas Everybody’ or Mariah Carey’s ‘All I Want For Christmas Is You’ when December rolls around, you’ll need a ghostly tune or two to get into the Halloween mood! We highly recommend Rockwell’s ‘Somebody’s Watching Me’, The Rocky Horror Picture Show’s ‘Time Warp’, and, of course, Michael Jackson’s ‘Thriller’! Surely, one of the most important parts of Halloween is dressing up as someone or something else, so hopefully you’ve started thinking about it already! Whether you decide to give your mates a scare by dressing up as something straight out of The Walking Dead or you opt for the comedy option and try out one of these crazy options, it’s time to get your thinking caps on! What would Halloween be without pumpkins? This is the perfect opportunity to show your creative side and really get that Halloween feeling! If you need some pumpkin-based inspiration, then check out some of these crazy designs! Sure, we know that you shouldn’t need an excuse to throw a party, but if you did, Halloween would be the perfect one. So, it’s time to start thinking about what kind of party you’re going to throw. And, what can beat a party bus or party limo? With features from disco lights to karaoke and more, you couldn’t find a better, more stylish way to get to your destination! So, with Halloween just around the corner, don’t you think it’s about time to start thinking about party bus hire in Hertfordshire?! Well, you’re in luck! All you need to do is get in touch with a member of our friendly Swift Travel team by calling 01279 739193 and we’ll fill you in on all things party!